Just a reminder that The Road gets released on DVD & Blu-ray today. DVD Talk has an extensive review of the Blu-ray here. You can get the film from Amazon. Manila Bulletin has an interview with Joel Torre, a Filipino actor who will play a character named Rafael in Baryo, while the local Inquirer talked to director John Sayles. “Baryo,” says Joel, is set during the Philippine-American War that took place from 1899 to 1902 and imparts different points of view – that of the colonizers, the rebels, and the civilians caught in the crossfire. It also touches on the roots of American imperialism. “It’s an obscure part of our history that needs to be told,” the Bacolod native, who broke into the biz via Peque Gallaga’s 1982 war epic, “Oro, Plata, Mata,” tells Manila Bulletin Entertainment Online in an interview, adding that the movie will surely raise questions. Joining Joel onscreen are foreign actors headed by Sayles regular Chris Cooper, Oscar best supporting actor for 2002’s “Adaptation,” who will play an American colonel. Garret Dillahunt, notably of “No Country for Old Men,” is also in the movie along with other US-based actors including Fil-Am Arthur Acuna. Joel informs us that another Sayles regular, David Strathairn, whose performance in 2005’s “Good Night, and Good Luck” earned him an Oscar nomination for best actor, was supposed to be in “Baryo” as well, but schedule conflict prevented him from doing so. Ronnie Lazaro, Pen Medina, John Arcilla, Joe Gruta, Bodjie Pascua, Spanky Manikan, Rio Locsin, Irma Adlawan, and some local Bohol talents round up the cast. “In my readings, I stumbled on the Philippine-American War, which is hardly tackled in history books. I saw parallels between the Philippines and Vietnam and the other wars we’ve been in,” Sayles recounted. He immersed himself in historical documents from that era, he said, including diaries of American soldiers, Nick Joaquin’s books and Jose Rizal’s novels in original Spanish. Three years later, he came up with his own novel. “I’ve yet to find a publisher for the novel, but when I focused on the script, it took me only a month to write it,” said Sayles. The English script was translated to Tagalog by local screenwriter Jose F. Lacaba. Filming “Baryo” can be a mighty challenge, Sayles admitted. After sifting through tons of material, he must recreate history in organic detail—the sound of coughing motorbikes and crowing roosters, notwithstanding. “Our production designer, Rodel Cruz, is building a village on the edge of a rice field,” he related. Looks like Icon Distribution is doing a great job promoting the film in the UK. The British Academy of Film and Television Arts has released the long list of nominees for this year’s BAFTA Awards and The Road has been nominated in nine categories: Best Film, Leading Actor (Viggo Mortensen), Adapted Screenplay (Joe Penhall), Cinematography (Javier Aguirresarobe), Make-up & Hair, Special Visual Effects, Production Design, Editing and Sound. The short list will be revealed on January 21. You can find the complete list of nominees on BAFTA’s site. 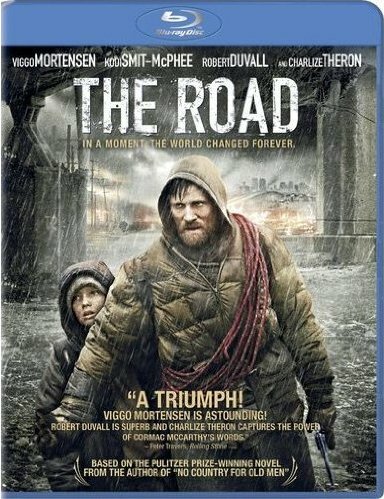 The Road will be released in the UK tomorrow (January 8). For local listings, visit Icon’s site. Easily the most brilliant remake of the decade, and not just because the 1972 original was such a crapfest. 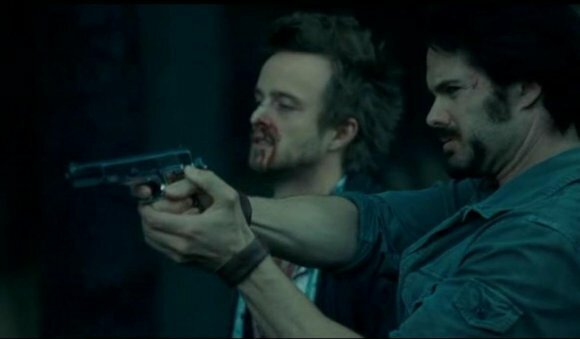 This beautifully photographed — but hard to watch — movie is the standard by which all horror/suspense films should be judged: The acting is superior (Breaking Bad’s Aaron Paul is especially fine), the story makes sense, and, most importantly, Last House’s moral compass points to true north. We don’t want these creeps back for six or eight sequels; they are monsters, and we want them dead. This film is on par with The Silence of the Lambs. Cormac McCarthy’s novel of the apocalypse comes to the screen with all its spare and deadly beauty intact. It’s often painful to watch (at my screening I actually heard the projectionist sobbing as the film neared its end), but Viggo Mortensen’s performance as the dedicated father is Oscar bait.